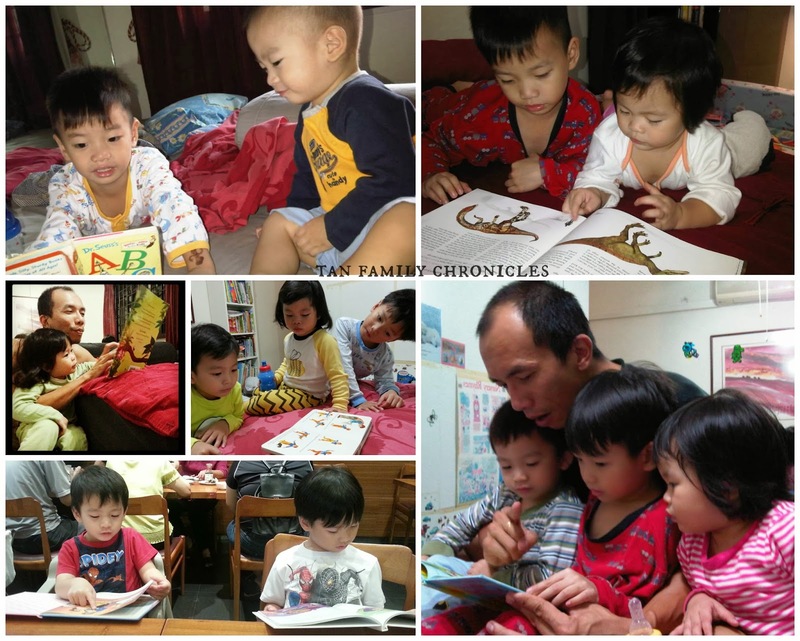 Tan Family Chronicles: Start Reading Young! The twins, Asher & Shawna are three years old and Isaac is six. They love reading! Yay!!! To get children into the habit of reading, you have to start them young. Since the kids were very young, hubbs and I would read to them. "How young?" I hear you ask. Well, preferably from birth, really. In my first pregnancy, I even remember reading to my tummy, well, I mean, to Isaac who was inside my tummy. It's a good way of parent child bonding as the child hears your voice, recognises it and grows to love it. But I do recall that the very first few months after a child is born, were very tiring months. Thus, I think a good time to start reading to your child is when the your child is able to sit up right, propped. If you have not started reading to your child yet - no fret! It's never too late to start! And all children love being read to, so start today!!! 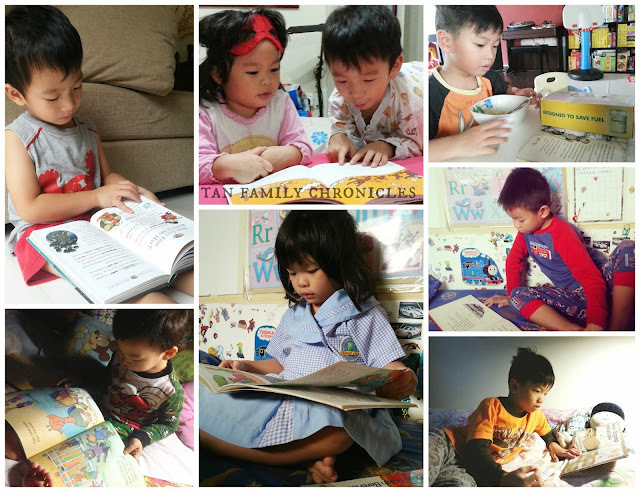 These were some of the earliest pictures I could find of the kids reading. Asher and Shawna were just over a year old. We read everyday. It is part of the bedtime ritual: read, brush teeth, sleep! Seriously, insist on the bedtime reading. In any case, it is a good activity to calm the kids down to prepare them for bed. Set aside at least 15 to 30 minutes to read at night before lights off. 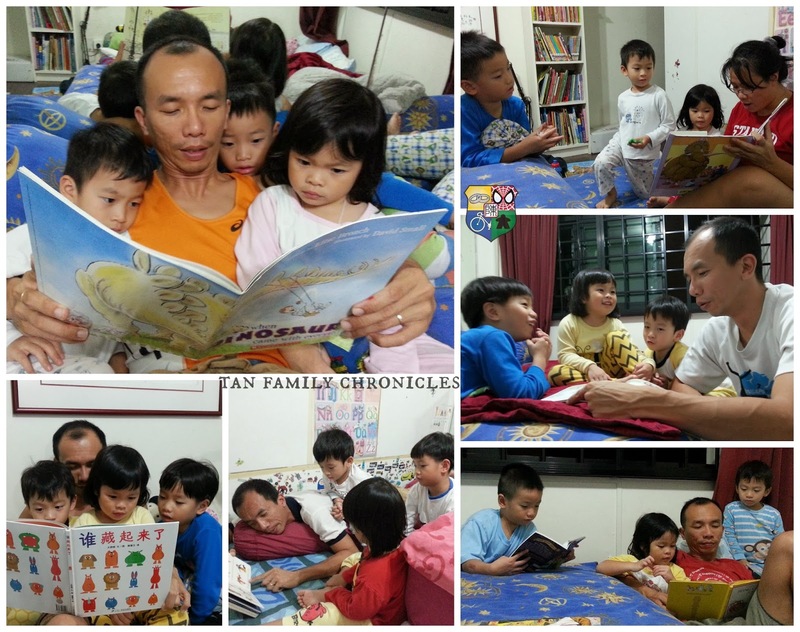 In time, the kids will come to associate the time before bedtime as reading time and they will look forward to it. When Isaac was young, we would read him a few books before we go to bed. As he got older, we would need to bargain with him on the number of books to be read, if not, we would never get to go to bed. Me: "Okay Isaac, three books and we sleep." Me:"Three books! Very late already!" Me:"Oh alright, let's compromise at FOUR books." Me: "Okay, three books and we sleep." Me:"Okay, I'm gonna switch off the lights..."
Asher:"No!!! One more, one more! Four books is enough! Four! Four!" Me:"One more? After that, sleep?" Asher:"No!!! FIVE books is enough! FIVE!!!" Nowadays, we just keep to our said amount and try not to give in, unless it's still early and we actually have the energy to read. 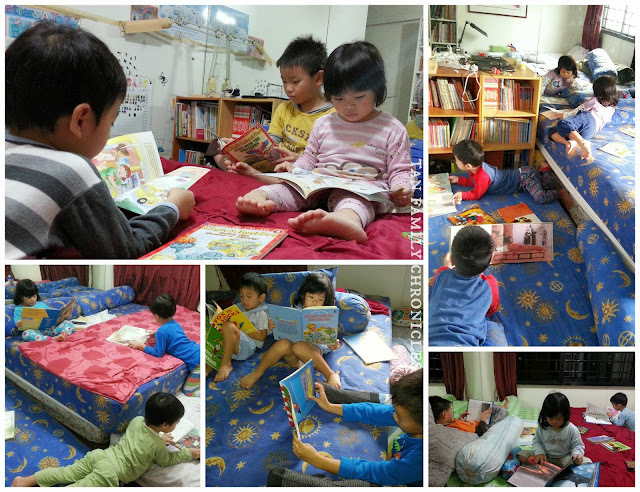 Some nights, we're so tired that we fall asleep while reading and the kids would go:"Wake up! Papa! Read!" or "Just continue reading, Mummy! Don't sleep! " Hubbs will usually read to the kids first, and then go to sleep since he needs to wake up early. I'd then take over and read to the kids. Hubbs is supposed to read them Chinese books, and me, the English books. You want the kids to enjoy reading? Then you should make it fun and interesting! Animate your voice. Change your voice for the different characters in the stories. Make the wolf sound like a wolf! Make the princess sound like a princess! Intonate your voice. Read like you're having fun, read as though you're signing a song, read like you're being filmed, read as though you're a radio deejay! Don't read in a monotone that will make the dead snore! Make it fun! Use your imagination! Bring the words to life! This way, the children will grow to love the written word! We have a few bookshelves in the bedroom where most of the kids' books are kept. When we go out for meals, I make sure to bring some books along as well. Anywhere we go where I know there'd be waiting to do - I bring books. 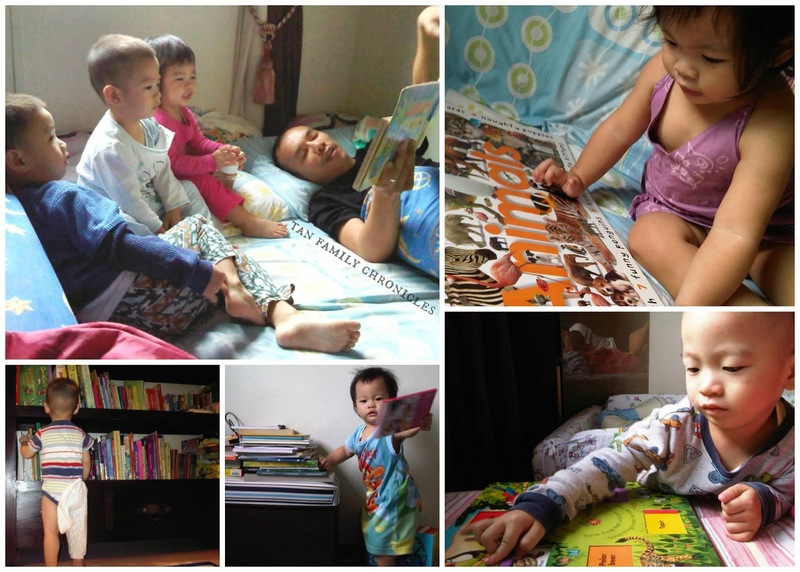 Books for reading, activity books for Isaac, or colouring books for the twins. 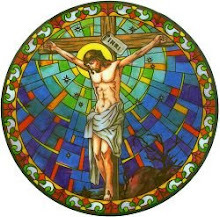 We usually bring the doodle notebooks and colouring books for places where we need to keep quiet, and can't read to the kids - like in church, or if we're attending a church wedding or ceremony. Remember how I said that reading is part of our bedtime ritual? Well, nowadays it is part of the morning ritual: wake up, read, brush teeth! We actually don't ask the kids to read in the morning, they started doing that themselves. And I think it's because they are surrounded by them! The moment they wake up, they see the books, they start to take them to flip. Sometimes when we are otherwise indisposed, we get Isaac to read to the twins! :p Bottom left hand corner picture shows the boys reading at a restaurant while waiting for our food to arrive. For very young kids like below 7 years old, I absolutely believe it is very necessary to buy books for them - as opposed to just borrowing from the library. Kids learn by repetition you see, so I have books which they have probably read more than fifty times by now. They enjoy knowing what will happen next, they interrupt me just to tell me what is going to happen on the next page. They know the story soooo well that they can read along with me - not because the 3 year old twins already know how to read - but because they have read the book soooo many times that they have memorised it! And not just for one book, but for many! And they absolutely love it! So this can only happen if you buy the books and have it with you all the time. There are also the books which I intentionally buy for the kids because I like the content. Say bible stories (my Alice in Bibleland series), or stories with moral values being highlighted (like the Berenstain Bears series), or books with educational content (like the Magic School Bus series of books). For all these series mentioned, at first glance, for whatever reasons, the kids did not want to read them. Not even to flip them. If I have borrowed these books from the library, I'd return them thinking "Dang! The kids don't like these titles." and I would never borrow them again. However, because I bought these books and have them with me at home, the kids took them off the shelves and just started reading them one day. Now, they love all the three series mentioned! Hence, books that have good content is worth buying! Now, if I have finally convinced you to get cracking at reading to the kids... and you find that you want to buy some books... Let me introduce you to The Groovy Giraffe! 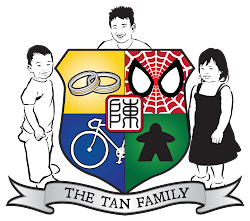 They are Singapore's first official online remainder book store! The books are brand new and can be as heavily discount as up to 80% off their original prices! When I first ventured into the store, my jaw dropped and I quickly started adding items to the shopping cart before they go out of stock. The prices are fantastic, so the popular items really do fly off the shelves. Take for example my Roald Dahl Phizz-Whizzing Collection (15 books) which I snagged off The Groovy Giraffe for S$76.90 (average of $5 per book) Hehehe... I saw with my own eyes a very popular bookshop selling this same set for S$160. I knew this because I have been eyeing that set for a very long time. Unfortunately for those of you who want this set, it's already out of stock at The Groovy Giraffe. 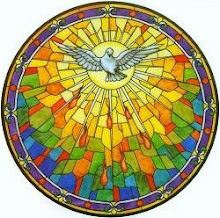 This is what I mean! If you want something, get it quick before it goes out of stock. This is because I understand that it is not always possible to get the same title again. So must get it before it's all gone! Thus, in the same vein, I bought three other boxsets. I know! I better stop before hubbs finds out! Within a blink of an eye, I spent more than S$200! But look at those prices?! Our most popular book store in town sells each Horrible History/Science/Geography book for S$16 each! Each?! Not to mention I'd have had a hard time looking for each title! I didn't see the Lord of the Rings box set instore (I feel like a spy!) but I did find it online, at $54 for the Lord of the Rings trilogy alone, and $17 for Hobbit alone. That works out to be $28 savings for me on the Hobbit+LotR box set alone, sweet! I totally agree with all that you have shared, and that book bargaining - so very familiar :) Having said that, both my girls are so different. Bubbles liked to listen intently to reading whereas Bun likes to be able to touch and feel the books in order to concentrate. At this age, I just let her, and oftentimes she would even shut the book before I am done, and demand another book to be read. I suspect she just wants the activity of opening and closing books, and selecting new ones! My kids love reading too and I totally agree with your points. Those were exactly what we did in our home too! I'm also one who cannot resist buying books. I'd rather shop for books than for clothes. Haha. Thanks for sharing about this online store! I've not heard of it before. Hahaha, same here! I enjoy shopping for books more than for clothes as well! 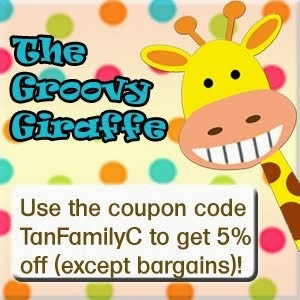 :) Have fun shopping at Groovy Giraffe! Thanks for dropping by! Hi, I've just discovered your blog, and it's very interesting. I bought a lot of children's books from a vendor before my first son was born, and had a lot of Eric Carle and other colourful books. He picked up reading very quickly, but the second one prefers to tear them instead. I'm also someone who buys more books than clothes for the children. Sophie loves reading too and we have a habit of reading before bedtime. We are blessed to have public libraries where we can borrow a varied and diverse variety of books to satisfy the little bookworm, else we'll end up with too any books at home. One of the things that I'm doing when we read is to make flash cards to help her identify words. Been doing that for both English and Chinese books and it has helped to some extent.